3 Emmanuel shall come to thee, O Israel. 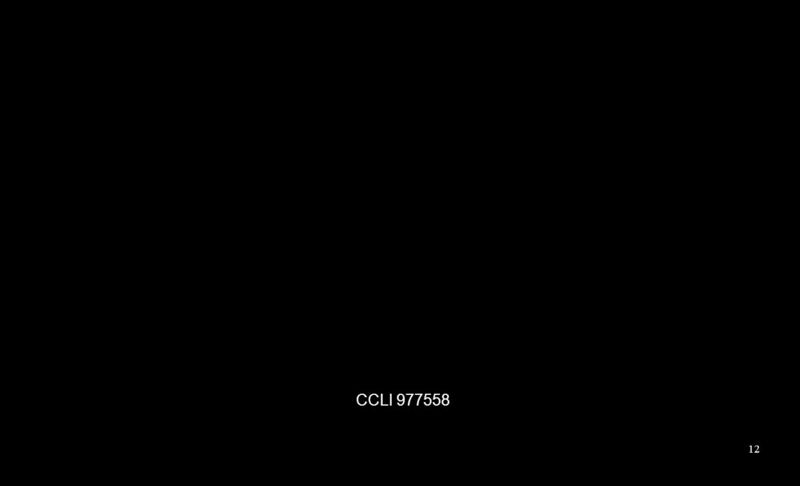 Who to Thy tribes on Sinai’s height In ancient times didst give the law In cloud and majesty and awe. 5 Emmanuel shall come to thee, O Israel. 7 Emmanuel shall come to thee, O Israel. And cheer us by thy drawing nigh; Disperse the gloomy clouds of night, And death’s dark shadows put to flight. 9 Emmanuel shall come to thee, O Israel. 11 Emmanuel shall come to thee, O Israel. 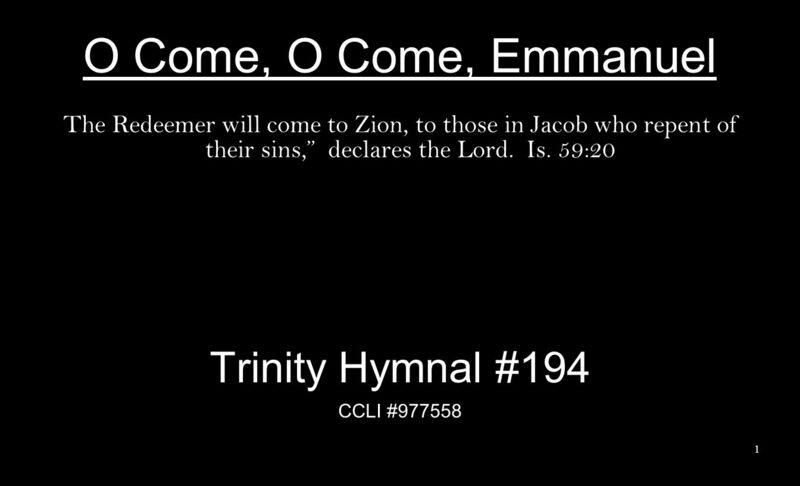 Download ppt "O Come, O Come, Emmanuel Trinity Hymnal #194"
O come, O come, Immanuel, And ransom captive Israel, That mourns in lonely exile here Until the Son of God appear: Rejoice! Rejoice! Immanuel Shall come. 1. O how kindly hast Thou led me, Heavenly Father, day by day; Found my dwelling, clothed and fed me, Furnished friends to cheer my way! Didst Thou bless. Lift Up Your Heads, Ye Mighty Gates! Lift up your heads, O you gates; be lifted up, you ancient doors, that the King of glory may come in. Psalm 24:7 From. O Come, O Come Emmanuel O Come o come, Emmanuel And ransom captive Israel That mourns in lonely exile here Until the Son of God appear. "O Wisdom, you come forth from the mouth of the Most High. You fill the universe and hold all things together in a strong yet gentle manner. O come to. OH COME, OH COME EMMANUEL. Oh come, Oh come, Emmanuel, And ransom captive Israel, That mourns in lonely exile here Until the Son of God appear. “O Come O Come Emmanuel” O come O come Emmanuel And ransom captive Israel That mourns in lonely exile here Until the Son of God appears Rejoice Rejoice.